In addition to this fact sheet, the Bazelon Center has published a “Review of Disability-Related Cases Involving Judge Brett Kavanaugh” report and other Kavanaugh nomination updates. 1. Judge Kavanaugh is a threat to health care for people with disabilities. He has made clear that he thinks the Affordable Care Act is a bad law, and that the Supreme Court got it wrong when it upheld the law. 2. Judge Kavanaugh would allow the president to wield dangerous power. He said that the president could decline to enforce key elements of the Affordable Care Act, even after the courts have found the law constitutional. 3. Judge Kavanaugh is dismissive of the fundamental rights of people with disabilities. He ruled that people with disabilities who lacked legal capacity had no right to have their wishes regarding elective surgeries, including abortions, even sought or considered. 4. Judge Kavanaugh won’t protect the rights of workers with disabilities. 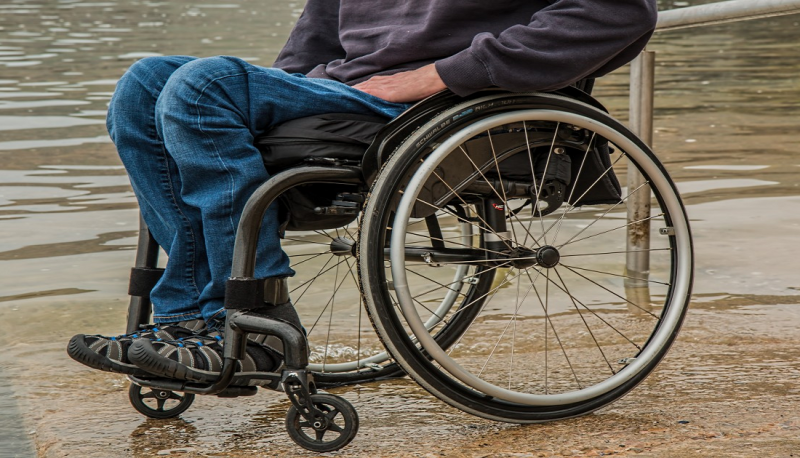 In employment discrimination cases, he consistently discounts or ignores the experiences and evidence put forward by workers with disabilities and defers to the explanations of employers. 5. Judge Kavanaugh would narrow the protections of civil rights laws. His interpretation of a vague sentence in a law could have exempted a large group of workers from the protections of all federal anti-discrimination laws, including the Americans with Disabilities Act. 6. Judge Kavanaugh promotes school voucher programs that leave students with disabilities without key protections. In order to participate in these programs, students with disabilities typically are forced to waive their rights under the Individuals with Disabilities Education Act, including the right to receive a free and appropriate education. 7. Judge Kavanaugh discounts the role of the administrative agencies that enforce the rights of people with disabilities. He has called for limiting the role of administrative agencies, which play a key role in enforcing civil rights protections and managing federal health care, employment, and benefits programs that are crucial to many people with disabilities. 8. Judge Kavanaugh would allow states to impose restrictive voter ID laws. These laws impose particular financial and practical burdens on many people with disabilities seeking to vote. 9. Judge Kavanaugh imposes barriers for people seeking justice in courts. He has urged limits on the use of class actions, which allow people with limited means to pursue their claims as a group. 10. Judge Kavanaugh will not fairly protect hard-won rights, including the rights of people with disabilities. As reasons 1-9 show, confirming Judge Kavanaugh to the Supreme Court would threaten hard-won rights and protections for people with disabilities and provide a fifth vote in support of regressive views harmful to people with disabilities. We can’t let that happen.